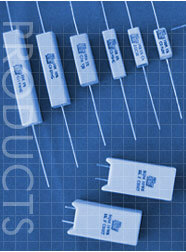 Power, Precision Wirewound Resistors for the Electrical and Electronic Industry. Applications include Surge Protection, Traction, Current Sensing, Voltage Dropping, Reference Resistors and Heaters. These are offered with a choice of high performance Vitreous Enamel Coating, Silicone Coating , Ceramic Cased , Cement filled, Aluminum Cased, Moulded Case packages by Precision Electronic Components Mfg Co, since 1972, well known as PEC in India. "Choose your current supplier from the list below. If you have the manufacturer's part number, our resistor cross reference guide will help you quickly locate a PEC replacement part. "We can do the cross referencing for you. E-mail us and let us find the best replacement part for you." © Copyright 2002, Precision Electronic Components MFG. Co.